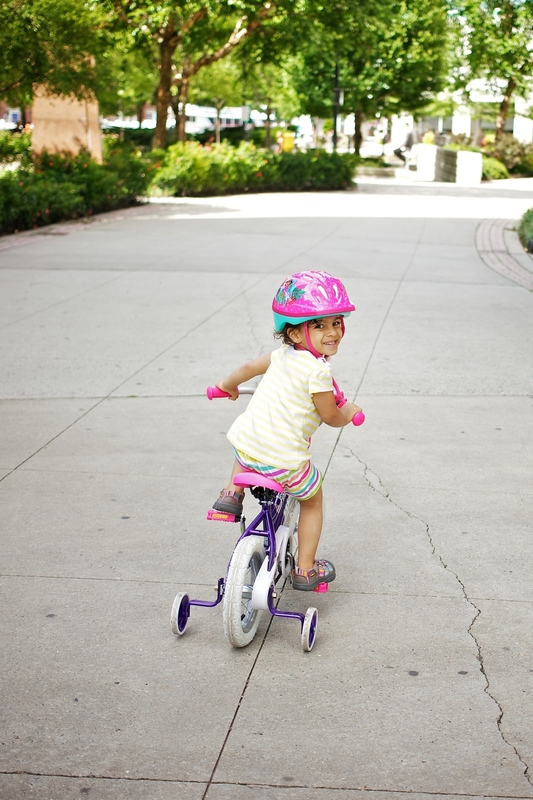 We've had a love-hate relationship with bicycles for our kids. We all love biking but the bicycles seem to hate us. Probably my fault for getting the wrong bicycles over and over again. Once we got a bike that came apart in two before it could be taken outdoors. Then the next one was so heavy that even the parents could not lift them - let alone the poor kids. Then there was another - a beautiful bike but so large that the handlebars came up to their shoulders. We took out support wheels too soon and then not soon enough. It went on. Mom persevered and tirelessly took them out day after day and finally both the kids can now bike. The younger one is still not fully comfortable but getting there and the older one can zip through!